Somehow, somewhere through time, people conjured up the idea of this perfect woman, who doesn't really exist. The women who did exist, however, were now under this immense pressure to match up to her. You couldn't have a single strand of hair anywhere on your body, you needed to have a different digestive system than that of men because it's not ladylike to burp or fart and you just had to look beautiful at ALL times. But the truth is real women are nothing like this. We're very hairy (and waxing is so painful! ), we burp, we fart, our bodies are a tiny bit disgusting and we couldn't care less about wearing makeup all the time. 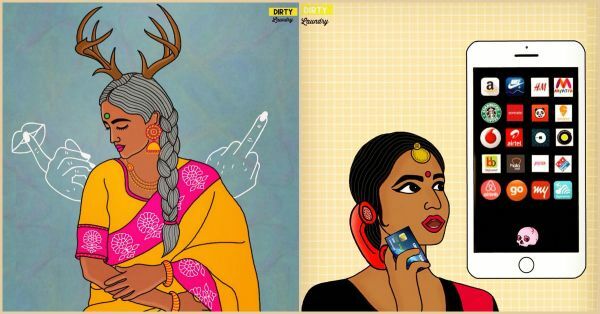 With increasing number of women breaking gender stereotypes and refusing to conform to the norms of the society, an Indian artist on Instagram started to capture the struggles of today's women perfectly. Kaviya, a 28-year old, Mumbai based artist was tired of the picture-perfect depiction of women in media before she took it upon herself to break some myths. 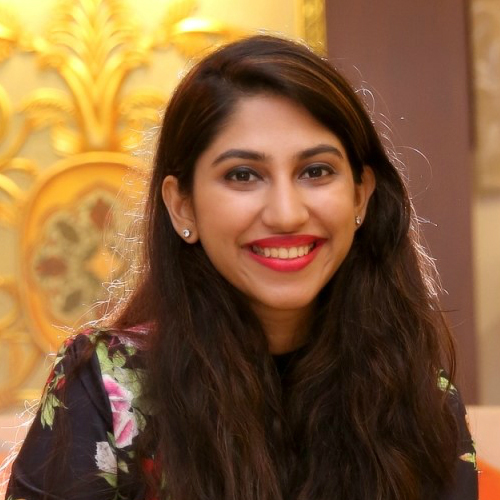 Keeping in line with the viral Instagram #100DaysOfHappiness, Kaviya started her own #100DaysOfDirtyLaundry on her Instagram account, wallflowergirlsays. All of her illustrations are all about the lighter side of life. Have a look for yourself! 1. Your fears make you who you are! 2. We're women, not treasure that you need to keep us hidden! 3. There really is nothing more natural than your period! 4. Social media can be one of the best highs and one of the worst hangovers! 5. One of the worst things, for a woman, is having to wear a bra at home! 6. Kaviya nailed the pressures of getting older! #100daysofdirtylaundry Day 53 - Age is just a number but then, log kya kahenge? . . Yet another birthday nearing, which means, mom, grandma & the 'log-kya-kahenge' clan will be brainstorming on age-appropriate jibes to fire. . . #icantadult and #icantwoman , can someone take over please? 7. If your relationship status on Facebook doesn't say 'committed', are you even in a relationship? 8. Now, taking offense seems to be a national pastime. 9. Do you see a disturbing pattern here? 10. The truth about living in a country of creeps!